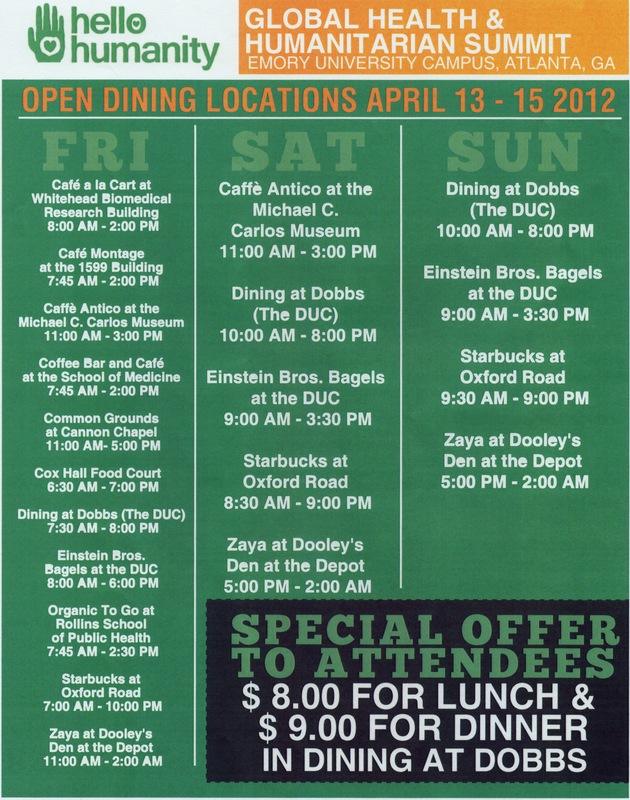 Please feel free to print this out to receive special offers for dining. *Some hotels will give you a discount if you tell them you are attending an event at Emory. @2 blocks from campus, ½ block from closest stop for free Emory campus shuttle service. Let Talk on Humanity !